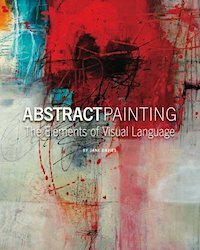 collage journeys: Subtractive Techniques with Open Acrylics - a GIVEAWAY! Subtractive Techniques with Open Acrylics - a GIVEAWAY! I am probably not the best person to show you this technique because I haven't used it much in my own work. However, I found myself scratching lines through paint using various tools, and thought that Golden Open Acrylics would be particularly useful if you wanted to draw into wet paint and take your time. Regular acrylics dry pretty quickly, which limits the time you have to work them. Golden Open Acrylics take forever to dry unless applied in a very thin coat. You can modify them, as you'll see in the video, to make the drying time a little quicker, by mixing them with regular heavy body acrylic paint or with a regular acrylic medium. 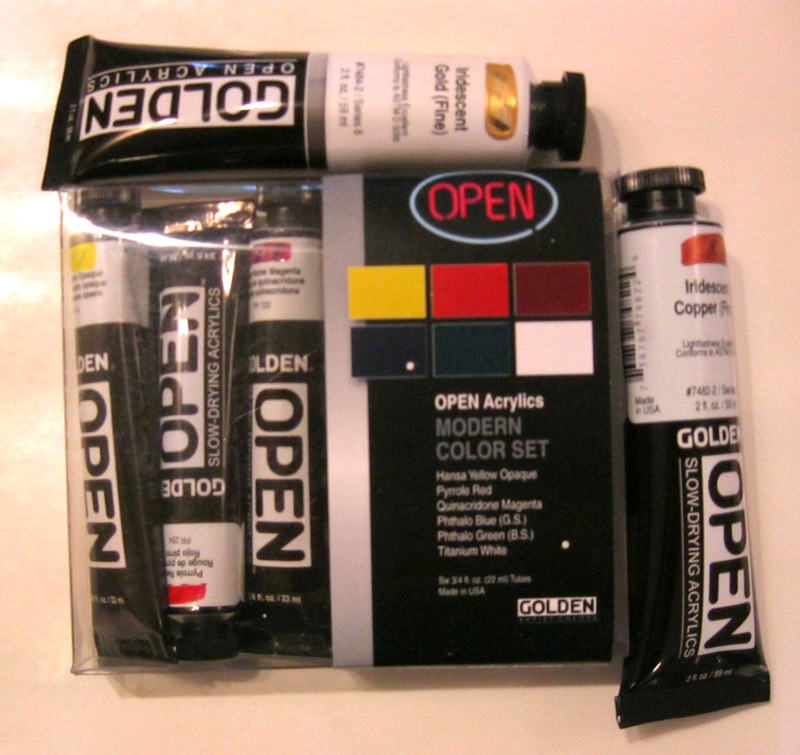 I am offering a GIVEAWAY of a set of Golden Open Acrylics, plus I'm throwing in two tubes of metallic Open Acrylics. To enter, please comment on this post. You must live in the US or Canada, and it is your responsibility to check in to see who the winner is on Saturday, May 31. The winner can contact me via e-mail to give me a mailing address. Here is the set I am giving away: six tubes of Open Acrylic in a starter set, plus two regular sized tubes in Iridescent Gold and Iridescent Copper. This is a demo piece using only VanDyke Brown (transparent) on a ground of Hard Molding Paste. For the ground I am using Hard Molding Paste, which gives you a surface like porcelain. For more information and videos on Open Acrylics, go to Golden's web site. What a great demo and the products would be put to very good use! I love anything GOLDEN! Thanks for this opportunity! Wow!! Such a great giveaway!! Lots of good tips in this demo that I will use. Starting with hard molding paste, orange over red instead of mixing, and another use for the Open acrylic paint. Heading to my art table to use this new inspiration! Thank you so much! Awesome giveaway, I love you art videos! I so want a set of these! I hope I win them ... thanks so much for a chance! Would love to try some Golden products, everyone seems to love them! These look delicious and I would love to try them! 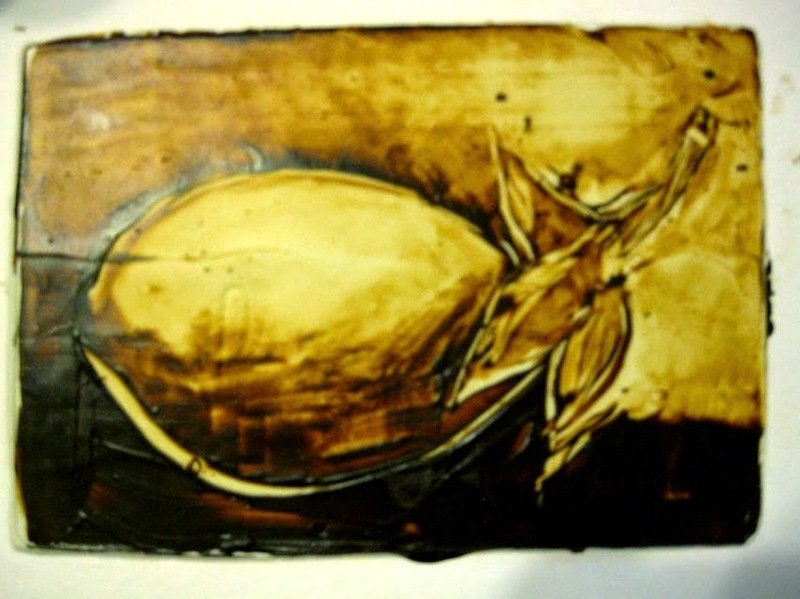 The Golden Open Acrylics work very well with the Gelli Plates, giving more time to manipulate the paint before pulling the print. That is my usual use of the Opens, so this is a new application. Love those gelli plates! Hi Jane. I've used open acrylics, and for some purposes, love them. During certain times of the year, they can take 24hrs to dry, which can be an advantage for paint-over pieces. Being indecisive, these Open acrylics might be just the ticket for me. Cool! I saw a mention of OPEN acrylics the other day and I honestly wasn't sure what they were. Now I know! Thanks for introduction and for the chance to win some! Thank you so much for the chance Jane!!!! These paints look fantastic to use in this manner. Thanks for the opportunity to win a set. Thanks for the wonderful demonstration with the Open Golden Acrylics. I've been wanting to try them for awhile and would love to win your giveaway!! I love all your videos - thanks for doing them. I get so much information from them. I appreciate the chance to win a set of open acrylics too! I like open acrylics for their slow drying. Love your demo as always. You inspire me! Wow! You are always so inspiring. I would love a chance to win. Opps -- I think my first attempt to comment went flying out into cyberspace. I had commented that I agree on the topic of open acrylics being very helpful when working with a Gelli Arts Plate. For anyone who has time (and refrigerator space), the old-fashioned gelatin printing plate works fine with regular acrylic paints, because genuine gelatin continuously adds moisture to the mix. Just beautiful Jane as always! Thank you so much for sharing your time through your videos and your blog. Your time and generosity in sharing these videos is very much appreciated. Thank you Jane! I've been wanting to try the open acrylics. Your video has inspired me! I would LOVE to win these. I like trying anything new, artwise, and love to play with them. Thanks for the chance. I try not to partake in giveaways unless I reaaalllly want to own the prize. And I would absolutely love to have a try at using these paints. Thank you for the opportunity. I love using acrylics, Jane, but they are so fast, I never have time to do all the 'fun stuff' I'd like to do before they dry! So, I think I'd love these Open Paints. And thank you so very much for showing up how they can be used. The things you did are just exactly what I'd love to be able to do! What fun products. Would love to get my hands and brushes on them! Thank you Jane for the opportunity to win the Open Acrylics. I love the teaching videos you do.Thankks. Jane, thanks for another great video and techniques, would love to win this. Always fun to follow. As always, thanks a bunch. I love Golden paints and love watching your videos! Thanks for the chance to win! I have been experimenting with sgraffito as well but not using open acrylics. I will give it a try! Count me in for a chance to win! Thanks! I use the gelli plate alot, so the Open Acrylics would be nice to have. Currently, I use glaze and retarder, at times, for more control, and less vibrant colors. Thanks for the giveaway. Your demos are always so informative--and inspirational! Thanks, Jane. Love the open acrylics for mono printing! Looks like bunches of fun! Cannot wait to try this. And thank you for your demos. I watch them over and over again and always learn something more each time I watch. Just love your video ! Would very much enjoy playing with the Open Acrylics...Seems to open a whole new world of experiments. Love watching your videos and have learned lots. Love your art and generosity with your videos. I am hoping to win, I only have one open so I could use some. I would love to try the Open Acrylics!!! Thanks for offering this free give-away, Jane! I love your giveaways and hope my luck is better this time! It's a great giveaway! Wow - ever since I stumbled across your work I have been hooked! I have tried quite a few of your techniques and love them all if only they would look as professional as yours! Ha ha ha. I love it when you post a video Jane and I love that you don't hesitate to show us things before you 'perfect' them. I love to be on the journey with you. Ohhhh, I'd like to get my fingers on some of those paints too. How fun! Thanks for the chance. I do not yet own any Open Acrylics......I would LOVE to win! I absolutely adore your work, and get giddy when I see you've posted a video! Thank you so much for your generosity. Thanks for the great information, always an inspiration! These Open acrylics look like a lot of fun to try. Thanks for the information. I would love to try the Open Acrylics. Thanks for your demo and for this offer! Jane I just love watching you work no matter the product! However, Open Acrylics are a product that makes me happy after being an oil painter for so many years. Thanks for your offer. Thanks for the good information and a great demo. I just spent the weekend viewing your Scribble Collage DVD. I love your style of sharing techniques. Great giveaway by the way!!! Just watching your videos motivates me to go right up to the studio to try out new things. Thanks for the inspiration. is scrafito a term you've coined? love it! "neither a potter or a painter i"! just an "abuela" doing art and learning at 62 to make her mark! thanks for the clarification, jane. now i have learned a sgraffito or two! This looks great! Thanks for sharing the video! Crossing my fingers that I win! I've only used fluid acrylics (I'm a watercolor artist), but would love to try these out in the future. I really like the look you are getting. I would love to win these! Please? I would love to try the Golden Open Acrylics, especially after watching this tutorial. Thank you for the opportunity to enter and thank you so much for sharing your techniques with us. Wow, you really make me want to try these open acrylics! Love the way you change the values and create shading by removing paint with a tissue. I am so inspired by your ease of creativity! I'd love to the opportunity to try the OPEN acrylics. I love watching your videos and I tell all my artist friends about your site. 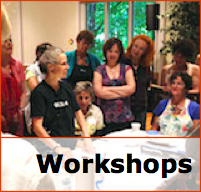 I am even begging one of my artist friends who has workshops to please get you here in Dallas. You are such an inspiration! Thank you. Dallas, YES! Get me to Dallas. I'd love it! Thanks for the demo. These paints would be good for a gelatin plate. I love watching your vids Jane! I have heard the buzz of these open paints and would LOVE to give them a try myself. Thanks so much for the chance to own this generous giveaway. Love watching the demos, Jane! thanks for the giveaway opportunity! I love Sgraffito, and have used scratchboard. This looks like an exciting way to use the technique with color. Thank you for the video! I haven't tried Golden's Open Acrylics yet - this seems like an excellent way to take them for a test drive (holding hand very high in the air). Would like to try the open acrylics. Love the demos. Great giveaway, Jane. And yet another great video from you! Thanks! Wahoo….would love to try these! Thanks Jane! Everyone is talking about these paints and is doing great things with them. Thank you so much for the chance to win. I am on a limited budget and would **love** to win these paints. Golden is the best. I loved the video - and I would love to try those open acrylics. They sound perfect for me because I still struggle a little with my paint drying too fast and getting it to blend properly. Thanks for the inspiration Jane. The Golden Open Acrylics look like a wonderful addition to the media. I look forward to getting some from my local art store and giving them a try. You are so generous to make this drawing available and I wish al of us luck. Someone will be a very happy winner. Great product! Thanks for hosting a giveaway! Thanks for all the videos you share with us. Great techniques ......and thank you for the giveaway. Would love to try the open acrylics. Love that van Dyke brown. Is it that transparent or glaze... Or does it just look that way in photo? Love the video. Thanks for the chance to win a set of the open acrylics. I haven't tried them yet. I've been thinking about subtractive techniques lately, trying to puzzle out how to extend drying time to make it easier to achieve. Never thought of using OPEN acrylics. Thanks so much for sharing the video. I'd love to win the set! Hello Jane! I love Golden paints but I have yet to try their Open acrylics. I'm convinced now that I need to try them.Thank you for the time you take to make these videos for all of us to learn from and enjoy. I love subtractive techniques and Golden! Thanks Jane for your tutorial. These open paints look like they have many possibilities. I'd love to play with them. I'd really like to try these. Zowee.....another chance at a giveaway! Would love to try them on my Gelli Plate. Thanks for yet another opportunity to win. See you in Phoenix! 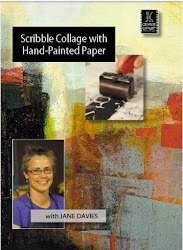 Hi Jane - have you tried using heavy body or fluid acrylics mixed with the Open medium? This is a technique I have used - just because it seemed more economical. I am wondering what the difference might be between Open acrylics + gel medium and regular acrylics + Open medium. I loved being with you on Whidbey Is. - looking forward to next year already! Hi Melanie. I think Whidbey was a real peak teaching experience for me; a great group, a great space, and, I think, the topic worked well. Love having four full days together. I definitely use the Open medium on occasion with heavy body and fluid acrylics. I love how your mind works here: what IS the difference between regular paints + Open medium, and Open paints + regular medium? I could do a whole battery of tests to find out, but that would take me back to my days as a potter, when I did copious numbers of glaze testing. So I'm going to be unscientific and just try them in my painting practice, see what happens. Hello Jane! Thank you for this giveaway - I'd love to explore with these paints. I also so love your viideos. You are an inspiration! I never knew what "open" meant when dealing with acrylics. This giveaway lets those of use who have not used this product a chance to try them. Thank you for this demonstration. It is so helpful to see the difference in the type of paints..open/fluid/transparent. It can be overwhelming sometimes when I go to purchase them and am not sure exactly the difference! I never thought I would like using open acrylics but after watching the demo video I think they might be quite handy is several techniques I like to use. Thanks for showing me how I might find open acrylics useful and thanks for sponsoring the give away on your blog! Time, that is what I need these days as my brain looks for what I want to accomplish as I am painting. Open Acrylics look to be the answer. At the moment I am adding Golden Glazing to extend the open time but I think it impacts the color saturation. So sad you will not be at Art and Soul in KC next year. I'm assuming it is a scheduling problem since Glenny had a final date change. What will we do without you? Missed more than you can know. I'm keeping my fingers crossed for 2016. The Opens are definitely the answer to working time! But generally the Golden (and other good professional quality) paints have enough pigment to withstand some extending with medium. I use the Golden Open medium to extend regular paints if I want them to have longer working time; I also use the glazing medium. Yes, the hotel for the KC event changed the dates to later in April, and I have a conflict. Bummer! I really had a great time there this year and last, and was looking forward to it. Thanks for the chance to win. I love watching your videos. Great inspiration. Have been hungering for more golden products since your AVA workshop! Great demo! You are such an inspiration! I have purchased but not yet tried a couple colors in the Open Acrylics line. Don't know why I've been timid. But you have gotten me enthused and I can hardly wait to give it a go! Thank you for nudging me creatively. I'm not in the running...being in Australia (pity), but wanted to say how much I enjoyed your video. I love watching you making marks...always very considered.. Hope you can convince Golden to provide you with an International giveaway some time. Their paints are extraordinarily expensive here. Oh, it's not up to Golden; I acquire and ship these myself. But now you have me thinking... maybe I should offer a giveaway to anyone NOT in the usa. First I will check postal rates to various countries to make sure I'm not getting in over my head. Maybe I could ask Golden about overseas distributors.... Nice to hear from you, Jo!! This video is so informative, Jane. I have not tried these products and I can see many possibilities... great techniques. Thank you very much for sharing. Thanks for the chance.....great video. Amazing ... love the transparent brown work! It would be so fun to play with these paints! wow- look at all these comments! Jane I love your clear directions, your inspiration and you! I always love your new techniques. What inspiration! What a great idea Jane! I would love to have these acrylics to try. Thanks for the demo! Hope you are well. Love how these work.Got some ideas now! Thanks Jane...cool giveaway, hope I win! Jane thanks for the demo on Open Acrylics. Like all of your shared demos/videos it is right to the point and shares the most important information and some great uses for new product. Appreciate that you do encourage us all to try new things. My stash of acrylics could use a new open collection, and I have some focused studio time this summer to play. Again thanks. The paint is surprising, in that it stays wet so long. I'm always struggling with acrylic paint to do more before it drys. Thanks for the helpful video. I'll have to get some of this paint. Throw my hat (brush?) in the ring. I thoroughly love you videos and your willingness to share with us. 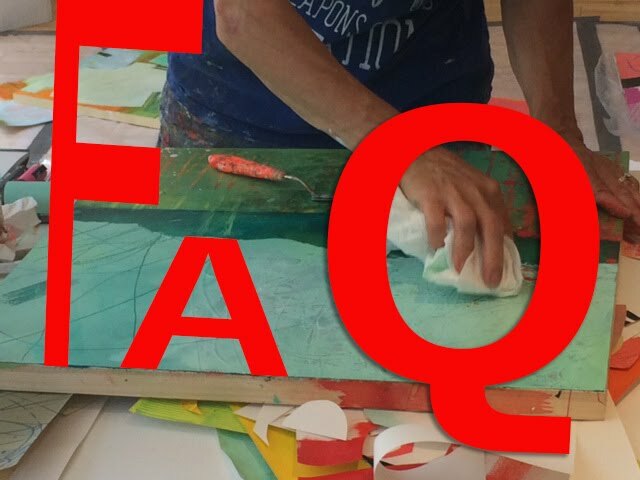 I'm wondering how the open acrylics would work on a gelli plate... normal fluid acrylics seems to dry really fast, which can be a good thing. Or bad thing :-) Thanks for the demo, Jane! I always enjoy seeing you work! Look on my Tutorials page. I have a recent video on using Opens on the gel plate. It involves my chicken, Amelia, who does beautiful prints. These definitely are on my "to try someday list". Thanks for the chance to win a set. I enjoyed the video. Fingers crossed! I was just thinking that I'd like to try something that's slower to dry for my Gelli printing. Thanks, Jane, for the video and giveaway. I love the effect of lifting the transparent paint for varying hues. More wonderful techniques to try! Thanks so much for all the tips and inspiration! Thank you for your generosity Jane I would welcome working with the Golden Open Acrylics. Loved watching you create. Thank you for this opportunity and the inspiration. Thank you Jane for your demo with the Golden Open Acrylics. I have used just a few of these but they are perfect for me as I am a slow painter who lives in the desert southwest which just makes me crazy trying to complete a painting moment before the paint dries, lol. Terrific demo! Thanks for the giveaway! I've been working with layering of colors, it's been fun and magical.....you never know what you're going to get! Jane I love watching you paint. Gelli or otherwise. I am always in awe. Thanks for the giveaway I would love to try these open acrylics. Your demonstration makes one want to run to the studio and play. 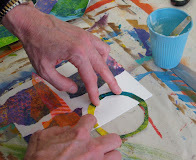 I was hoping to use the open acrylics in gelli monoprinting but this looks like fun too. Be well. Love your demos, Jane! I'm an indecisive dawdler and would love to win the set of Open Goldens to experiment with. OPEN SESAME (sez me)! THESE ARE YUMMY. The tonal changes are lovely. I watch all your videos and want you to come to California to teach. Will that happen soon? Big thanks from Colleen. Love your blog and videos. Thanks for the chance to win! Jane, I really appreciate your videos. 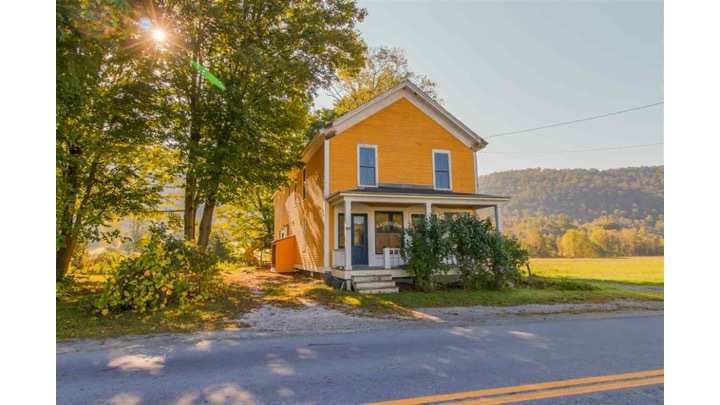 I know if I can't make it to Vermont for a class I can look at your blog:). Thanks so much for the video - I always learn so much with all that you share. Sometimes the simplest idea doesn't sink in and then I see you use a technique (like scratching into paint) and here I had the same tools as you the whole time. I really like that you use ordinary things most people already have to create art. Enjoyed all the classes I took from you in Kansas City and learned so much. Golden products are always awesome so can't wait to try these and winning a set would be wonderful. Thanks so much for all you share with us. Oh, la, la... I've been wanting to try these. Thanks for the video and the giveaway. Would be fun trying these out! Looks really interesting. I like Golden Matte mediums but have no tried the acrylics. It would be wonderful to try them and share them with my small group! Love Golden Products they are great. Love your art work too! OMG, I'm in love with the one of VanDyke brown on hard molding paste. LOVE how that looks. Love watching you create (love your DVD it's the next best thing to taking an actual class from you :-). This looks very intriguing. Can't wait to try it. Thanks for the video demo. Your stuff is GREAT! Your techniques are also quite fun and I really appreciate your videos. Thanks for video. I would love to try the open acrylics. I love golden products. Love what you are posting. Have been adding to what we did at art and soul KC. Best birthday present ever! I love using Golden products. Thanks for the great video demo. Looking forward to trying these paints. Always love to watch you! And Golden has a great product. Thanks for all your vids. I can always use more supplies for the class at Omega. Can't wait. I really enjoyed watching your demo video. 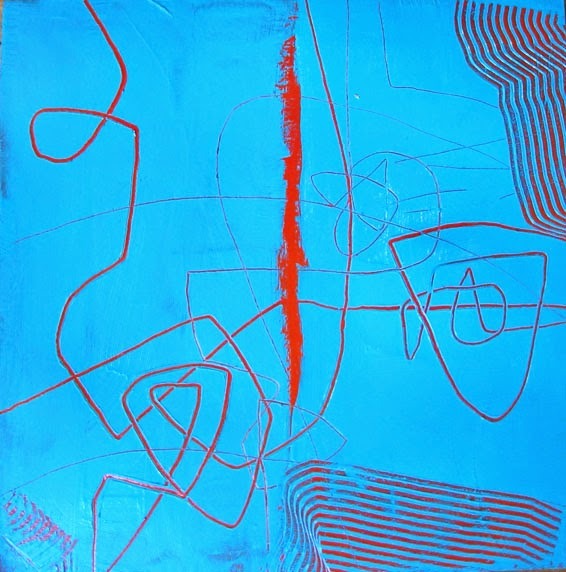 I just purchased a gelli plate and can't wait to try some of your techniques and would love to use the open acrylics. Wow, lots of people would like to have this set of open acrylics, and like me want to experiment with them. Exactly how long does it take for them to dry - how long is "forever"? I thoroughly enjoyed your video and can't wait to try tangling with the Golden Acrylics! Such fun!! What a great video! Would love the opportunity to try the new Golden Acrylics! Thanks so much for the opportunity! I always enjoy your videos and would love to try the open acrylics!! Always enjoyed your videos! So great to learn more techinques! Thank you! Can hardly wait to get my hands on some Open Golden acrylics! 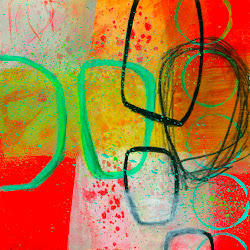 I have always loved Sgrafitto and using those color opposites allows some VERY exciting effects! Using the hard ground looks like a way to totally vary the intensity of the colors letting some amazing variations happen. Thank you for all you share! BTW, I tried to order the tool that makes thin lines with the Fluid Goldens & they were out! So still need to order that. Will probably order more than one so I can experiment with my Liquid inks from Akua that I use for printing. Such fun toys you introduce us to!! Looks like another fun way to work with paint. Would love to give it a try. I have yet to try the tubes of OPEN acrylics. I enjoy the open time and color saturation of water soluble oils which I still have from a class and will try them for some of these experiments from the video. I would like to compare drying times. You probably already know this little hint for keeping the paint out of the neck of the tube and cap for easy opening the next time you need it. After you squeeze some paint on the palette, stand the tube upright and tap it a few times on the table top. All the paint will settle down in the tube and won't backfill into the cap so no more stuck caps if a tube has to sit a while. These look absolutely fabulous! Acrylics are my favorite paint, but the quick drying time can be such a challenge (which has its pros and cons). I'm definitely going to check these out when I can. Thanks! This looks like something fun to play with. I've never tried the open acrylics. Would love to have the chance. Thanks for the chance to win! 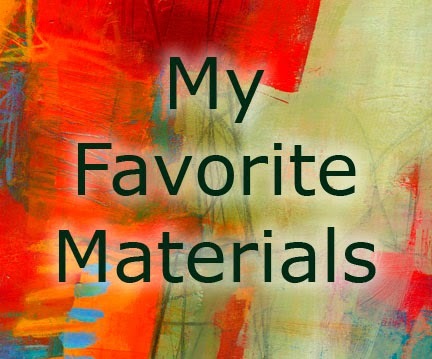 I'd love to try them with my Gelli Plate! I have to say I love all things GOLDEN --- paint, retrievers, sunshine, sunsets over the Atlantic Ocean in Nova Scotia, sunflowers etc. I first tried Open acrylics a few weeks ago. Living in Arizona, with the dry climate, my acrylics dry very quickly. Using the Open paints works well when I want to manipulate the paint on the surface before it dries. Gosh, I just picked this up. Hope I am not too late to get in the drawing for the prize. I am not one to get picked but there is always hope! I am hoping to take your Dillman's class in 2015 in Wisconsin!!! You are SO generous with sharing all your techniques. I LOVE your work and own your collage book. I would never have thought to put the molding past on the canvas as a filler/base. I love that! Thank you for all of your video - so helpful! - and for the chance to win the paints. I want to try my hand at print making and these would be perfect. So appreciate your generous spirit and sharing of your talents. One day, I would like to take a class with you. Thanks, again! Thanks for a great demo video! Watching you play with the paints, as opposed to a lot of demos where they create a piece, allows the viewer to concentrate on what the paint actually does and how it can be used without the distraction of, "ooh, what are they painting?" And I appreciated the molding paste tip as I don't like the canvas texture either! Wow! I would love to add these to my art supplies, thanks! I would love to win these. Thanks for all your generous sharing. I have been itching to try the open paints. Thank you for the cool video. They look like real fun to play with! Ahh….love the idea of extending work time - appreciate your taking the time to make a video to show us! and to offer a giveaway! So nice to hear your voice and to see you working again. Amazing the amount of time that you can have with the open acrylics. Equallly amazing the way you can change the amount of time by adding other mediums. Thanks for the offer of these paints. Wish you were going to be in Kansas City. Peace. I would so love to win the open acyrlics. thanks for chance Jnae.